Numerous buildings in the vicinity of the Wyoming County Courthouse will be featured on the Historic Tunkhannock Walking Tour, including the original Triton Hose Company building (top, right) and the building currently occupied by attorney Judd B. Fitze. Participants in the first work meeting for the Walking Tour included (above, from left) Judy Mead, Jean Ruhf, Erica Rogler, Margie Young, Nancy Parlo, Bob Baker, Gina Suydam, Sarah Carr and (not pictured) Diane Turrell, Rick Hiduk, and Jim and Delores Kennedy. The first work meeting for the Historic Tunkhannock Walking Tour, which will make its public debut in June, was held at the Wyoming County Cultural Center on Jan. 28 and deemed a success by the twelve participants. Project coordinator Rick Hiduk and promotional materials designer Diane Turrell presented to those in attendance a mock brochure and first drafts of the new walking tour map, brochure introduction, and descriptions of nearly 40 homes, businesses and churches to be featured. The full-color booklet with a centerfold map will be made available at numerous locations throughout the area and beyond and can be utilized for self-guided tours of a 2-mile route through the borough’s Historic District. By general consensus, approximately eight homes and churches not included in a brochure produced two decades ago will be added to the revamped tour route. They were selected for both their unique architecture and the lore that surrounds them. As was the primary goal of the meeting, discrepancies and omissions in content were addressed by participants, and suggestions were made for keeping the descriptions more consistent. 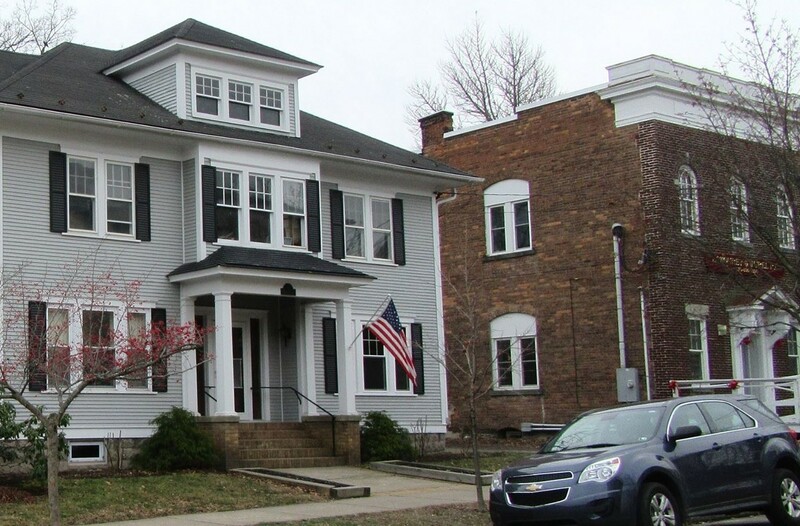 Each will include a thumbprint photo, building address, year of construction, original owners, architectural style, and a brief early history. 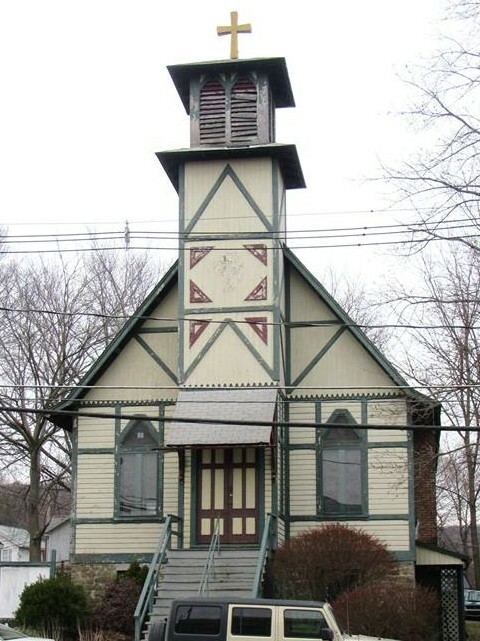 Hiduk will meet with members of the Wyoming County Historical Society (WCHS) to find agreement as to precise years of building construction and other historical elements to be included in printed materials. Participants were asked to submit any other changes and ideas within two weeks of the meeting. It was also suggested that the brochure be offered in pdf format for any agency that would like to share it with the public via websites and social media. In addition to Hiduk and Turrell, participants included Wyoming County Commissioner Judy Mead, Endless Mountains Visitors Bureau (EMVB) director Jean Ruhf, Cultural Center director Erica Rogler, Cultural Center cultural programs coordinator Margie Young, Tunkhannock Business & Professionals Association president Nancy Parlo, Wyoming County Press Examiner editor Bob Baker, Wyoming County Chamber of Commerce director Gina Suydam, Wyoming County Historical Society (WCHS) board member Sarah Carr, and Jim and Delores Kennedy, who reside in one of the featured homes on the tour. A second work meeting is planned for Thursday, Feb. 25 in the Children’s Room at the Cultural Center, starting at 10 am. It is hoped that a revised mock-up of the brochure can be approved at that time, and the committee can move on to further develop the histories of the structures and neighborhoods on the route for use during guided tours planned for June and July. Those interested in volunteering as a tour guide are encouraged to attend. A public roll-out of the project is planned at the Dietrich Theater during the week of Founders Day, which is Saturday, June 25. A reception and media event will be held on a weeknight prior to Founders Day during which invited guests will be able to view an exhibit of new and old photos of all of the structures that will be featured on the tour. On June 25, a panel of speakers at the theater will cover various facets of the history of both Tunkhannock and Wyoming County. After the presentation, tour guides will conduct the first tours based on the new map and brochure, while sharing many additional historical facts and some folklore. The tours will continue on Thursday evenings in July, with registration handled by the Dietrich Theater. The brochures will be available at the Dietrich Theater, WCHS, The Endless Mountains Visitors Center, The Wyoming County Chamber of Commerce and other locations during their respective hours of operation so that residents and guests in Tunkhannock can guide themselves around the borough at their leisure. Those interested in attending the February work meeting or who would like to be involved as the project evolves are asked to contact the Dietrich Theater at 570-996-1500. More details will be made available to the public as the Historic Tunkhannock Walking Tour progresses. The revitalization of the Historic Tunkhannock Walking Tour was made possible by grant awards provided by the Wyoming County Room Tax Fund and the EMVB as well as the PA Route 6 Alliance funded by the Department of Conservation and Natural Resources, Bureau of Recreation and Conservation with funding from the Environmental Stewardship Fund and Heritage Areas Program Fund. 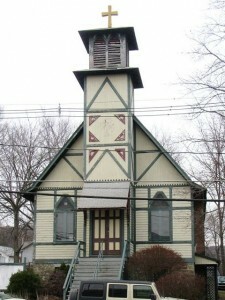 Now an artist’s studio on Second Street in Tunkhannock, this building served numerous denominations as a church, starting with the Episcopalians in the late 1860s.